We live in the world of many ‘faces’. We are so many different people in front of others. Sometimes our attempt to mould our personality to please others backfires. We are not able to distinguish between who we really are and what we are trying to project. This sort of problem arises when you are not comfortable with who you really are. So to live a happy and fulfilling life, you must understand and accept your darkest emotions. Burying them deep down is never a solution as that way they are bound to resurface. The art of acceptance was developed by the oriental philosophy, where they focused on ‘Aatma Nirikshan’. From there only, treatments like Cognitive therapy based on Mindfulness have emerged. Science also has now understood the importance of acceptance in tackling a number of problems related to depression and anxiety. Three fellow researchers of Ford also conducted the study on acceptance. 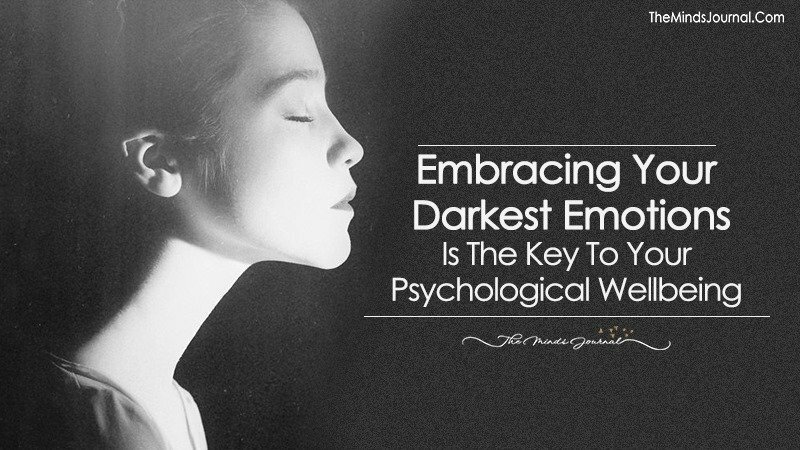 The study pointed out that accepting your darkest emotions results in the blunting down of your emotional abilities. This, in turn, may not result in happiness, but it boosts your ability to handle emotional stress. You’ll find it interesting to know that acceptance apparently seems to be linked with better overall mental health when it is used against negative emotions rather than positive ones. In the study, it was found that acceptance works for almost everyone. It is not restrained to a specific socioeconomic or a racial group. People of different backgrounds were equally proficient in managing their emotional problems using the technique of acceptance. Furthermore, it is not limited to being used against any major emotional disturbance, but it can also be used against minor inconveniences. Making it a part of your everyday life is the best bet. The results that Ford drew out of her study were derived from one or two parts of the three-part study. In the first part, 1000 questionnaires were sent to undergraduate students. The questions focused on psychological health and emotional stability. The results were reassuring as they showed that students who habitually practiced acceptance had less negative emotions and highly elevated level of well being. In the next study, 156 people were put in a stressful situation; they had to give a 3-minute speech pretending that they are giving it as a part of a job interview. Here also, the people who were more open towards acceptance were able to do considerably well. The subjects were so chosen that more than half of them had experienced a major stress (negative) in the past few months. For the final study, the researchers asked 222 people to keep a record (a diary) of the most stress inducing event of all the days for over 2 weeks. Here also, the people who had been practicing acceptance in the past fared really well. Their diary records proved that they took even the major stress inducing events lightly. They were able to cope up with the situation. Resist The Urge To Strive For Happiness. It is important to demarcate the boundaries of acceptance. The word means that we need to accept the harsh realities, say, we need to understand that death is the ultimate reality; but acceptance does not by any means imply that you accept any wrongdoings. Allowing injustice to happen to you is not acceptable. You must never endure injustice. Svend Brinkmann, the professor at Aalborg University, explains how the negativities that come in life are not unavoidable and thus we must understand that these can simply be avoided by focusing on the positive aspects of life. Ford says that, while trying to stay away from negative emotions, we must not run after the positive ones also, as it deviates us from the state of calm. Thus accepting your state and understanding your situation is the best way to have a healthy state of mind.